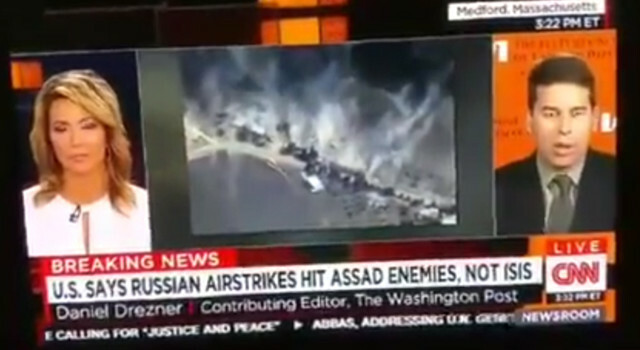 Did CNN Just Admit The US is Helping ISIS? A couple days ago the following clip aired on CNN. I will embed a few different videos as videos that reveal certain information are sometimes mysteriously taken down. Of course, what you’re about to hear is not really anything new, as back in May of 2015, the Pentagon released documents to Judicial Watch, a government watchdog law-firm, proving that the US government played a key role in creating the terrorist group known as ISIS. A few weeks later, ex US Intelligence officers confirmed the leaked evidence. Its clear that the ISIS illusion cannot remain so for much longer. Will you help to dissolve this lie by re-sharing this article or the videos below? We live in interesting and exciting times…..